Disclosure: I participated in an Influencer Activation on behalf of Influence Central for Weleda. I received product samples to facilitate my review as well as a promotional item to thank me for my participation. All opinions and reviews are my own. We're a family of sensitive skin and Grayson has suffered from eczema since birth (remember his super peely skin?). For those of you who have followed my monthly updates, you've either seen it directly in his pictures or when I ask about remedies. 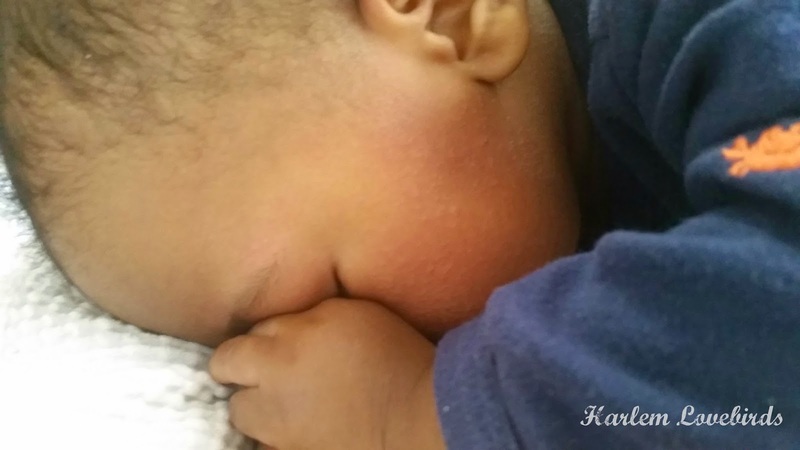 We've tried so many topical products and right before we left on our cruise I reached out to Grayson's pediatrician for an allergy referral as I was beginning to suspect my breastfeeding diet could be causing his flare-ups. Thankfully we received a few answers yesterday, but this past month we've also found relief with Weleda's White Mallow line. I was first introduced to Weleda 3 years ago using the product line on myself and Nia, and I was so impressed by the brand's heritage reaching back to its inception in 1921, as well as its commitment to safe, plant-based products for all ages. 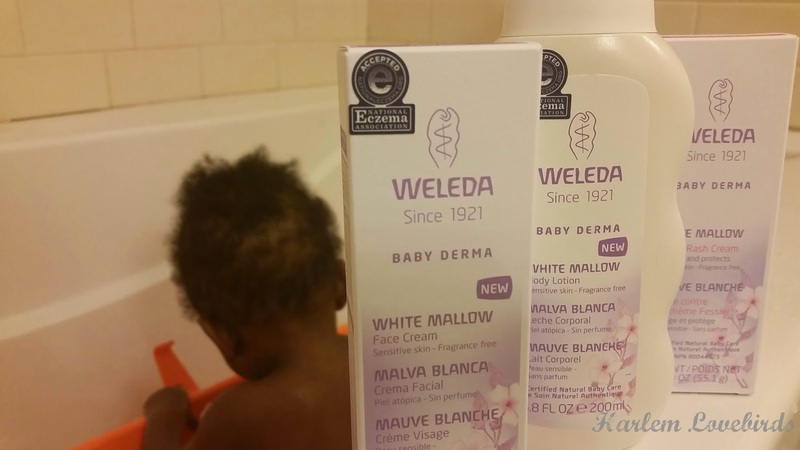 While I've used other Weleda products, the White Mallow line especially formulated for sensitive skin and awarded the National Eczema Association Seal of Acceptance made me confident in using it on Grayson. We received three products from the White Mallow line to review: Body Lotion, Face Cream and Diaper Rash Cream. I have to be honest: thoughts of marshmallows popped into my head when I learned the name of the product line and ultimately, it was worth it because after continual usage that's how Grayson's skin started to feel! Made with extract of white mallow, it's soothed and calmed Grayson's flare-ups and I appreciate the light scent and how easily it smoothed onto his skin, but wasn't too watery. It also contains coconut oil. While Grayson used to have heavy eczema on his cheeks and neck, he's since outgrown it so I didn't have to use much of the face cream. 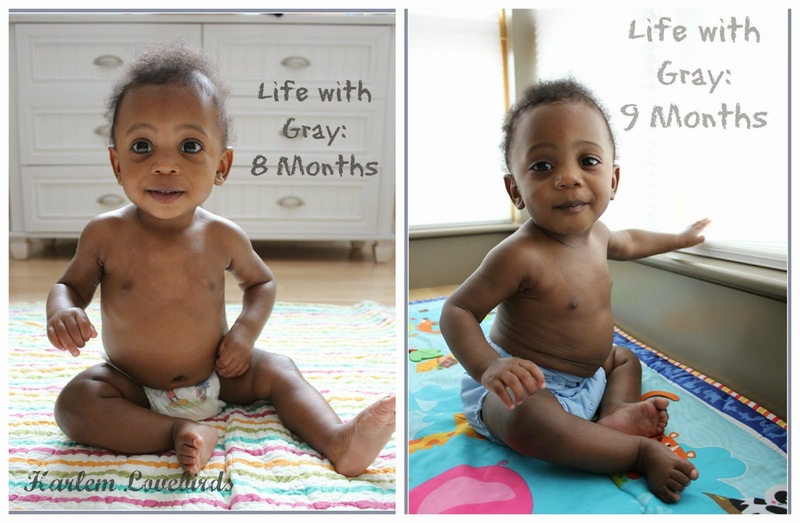 His diaper area however is typically super patchy, as are chest and arms. I've used certain products in the past that irritated his skin despite being touted for use on sensitive skin, but seeing how he jumps when irritating products touch his skin let me know it's his reaction that I should trust best. With the White Mallow line Grayson had a pleasant response and after continual usage his skin has shown improvement. A few extra ounces doesn't hurt either! While we still have to sort out his diet restrictions around his 1 year old birthday (for now I can continue eating as I normally do while I nurse), I'm relieved that we didn't have to resort to harsh topical steroid creams which are often the case with eczema. A baby with calm skin is a happy baby! To find Weleda near you and learn more be sure to visit their website and be sure to ulitlize their 20% off code WELEDABABY when shopping online (expires June 15, 2015) and can also be found at Whole Foods Market, buybuyBaby.com and select natural health food stores.